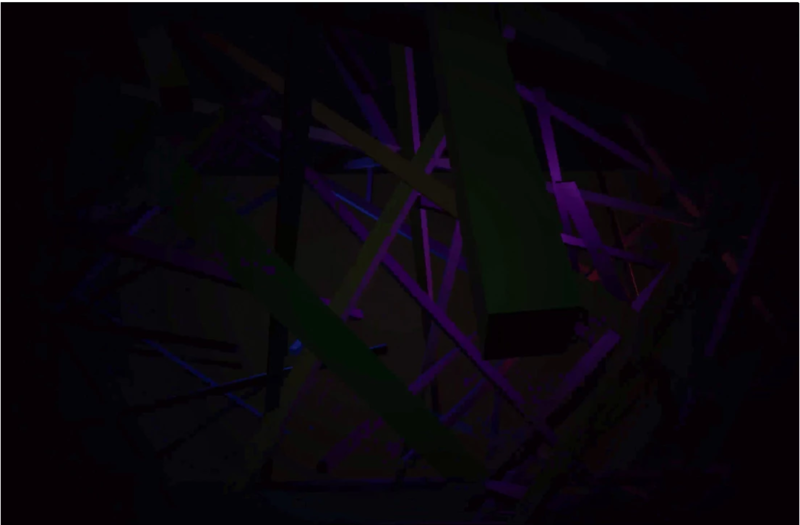 Researchers teamed up with a student-based tech lab to develop an interactive virtual reality tool that gives users entry into the vision of another species–a tiny nocturnal primate with huge eyes that must catch prey in the dark. Tarsier Goggles can simulate human and tarsier vision under varying ambient lighting conditions. 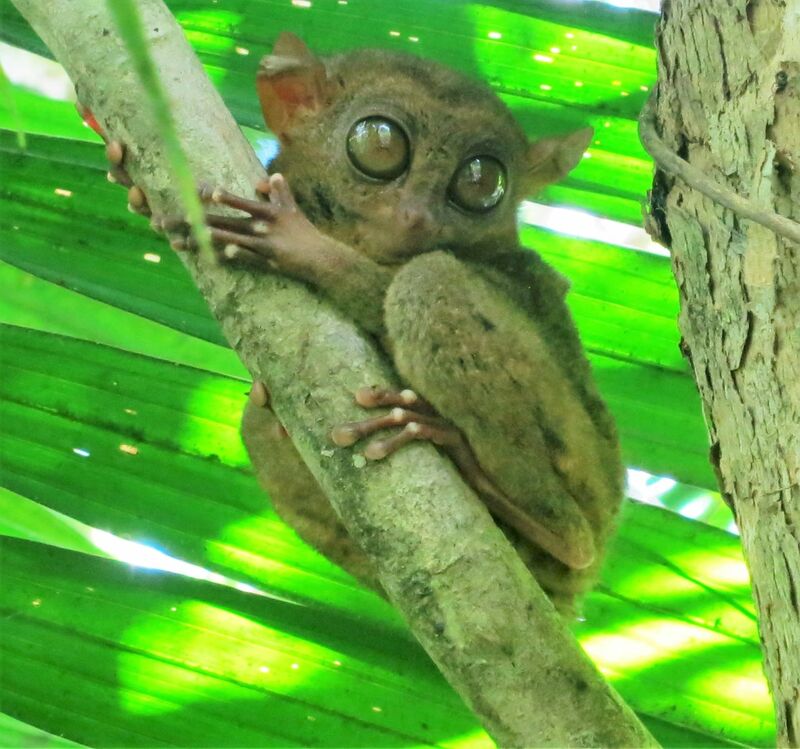 By simulating the tarsier’s superior night vision relative to humans, the interactive educational tool integrates anatomy with natural selection, an important connection, given how visual properties affect the ways animals forage. Other animals see the world quite differently from us humans. 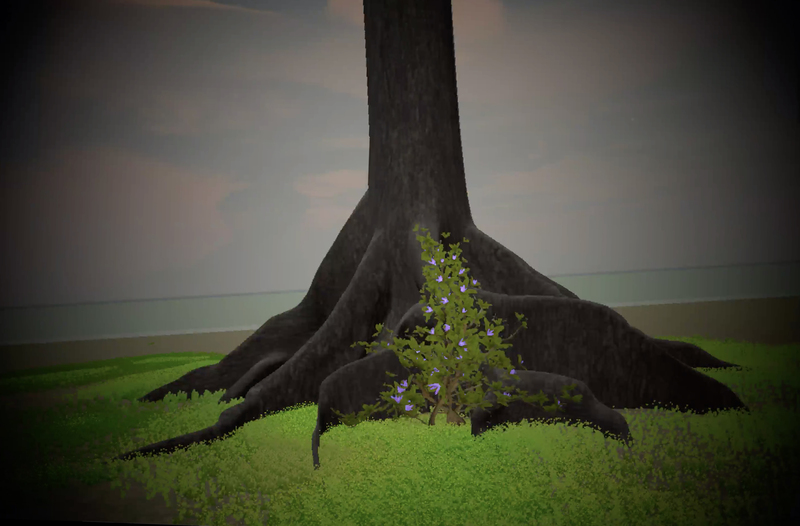 Researchers at Dartmouth College teamed up with a student-based technology lab to develop an interactive virtual entry into the vision of another species. And not just any other species – a tiny nocturnal primate with the largest eyes relative to body size of any living vertebrate. They created a virtual reality (VR) learning tool, called Tarsier Goggles, which enables the viewer to experience the visual system of a primate adapted to rainforest life in the dark. Tarsiers are the only living primates that feed entirely on live prey, but they are active at night so must be able to detect and catch insects and other animals in the dark. The huge eyeballs are highly sensitive to light but cannot move in their sockets. Tarsiers make up for that by being able to turn their heads 360 degrees. Tarsier’s extremely large eyes are “most likely related to the absence of a tapetum lucidum, the mirror-like structure that results in ‘eye shine’,” write the researchers in their recently published paper. Most nocturnal vertebrates, such as cats or owls, have this light-reflecting layer, which facilitates seeing at night. A tarsier in the Philippines rests under shade during the day. 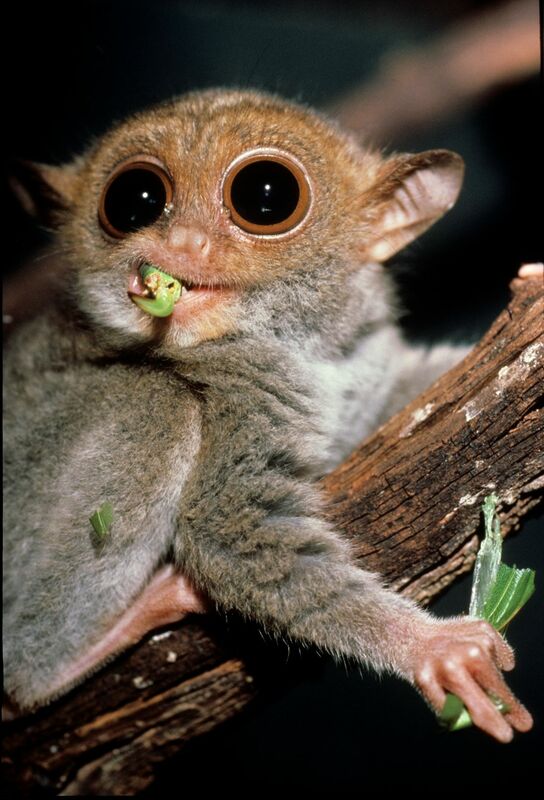 The eyes of a tarsier are comparable in size to their brains. 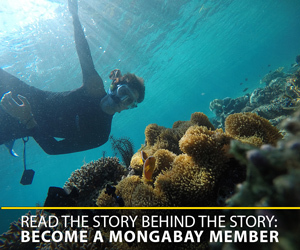 Image by Sue Palminteri/Mongabay. Tarsiers live in the rainforests of Indonesia, Malaysia, and the Philippines. Leaping among branches at night requires them to perceive bot branches and prey in pitch darkness, but doesn’t prioritize color vision. 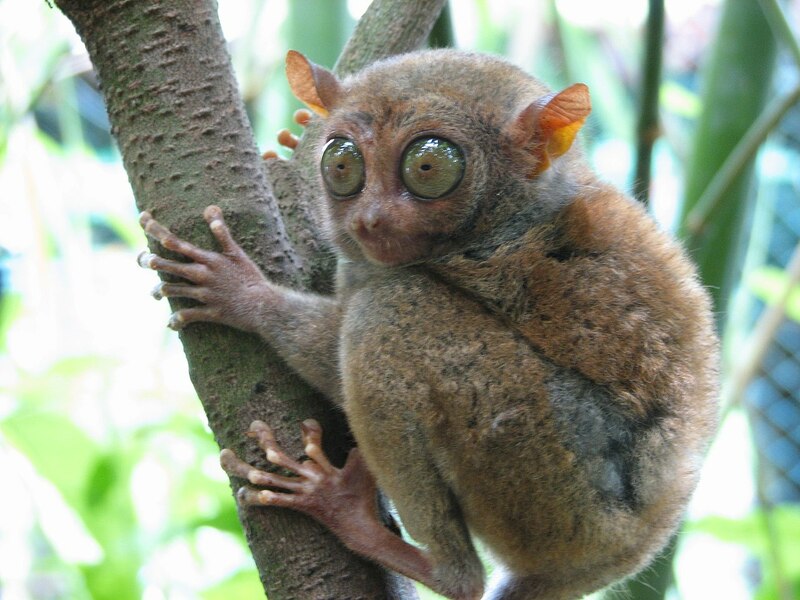 And, in fact, Bornean tarsiers have protanopia, a form of red-green color blindness. The researchers made their new VR software open-access to give anyone with access to VR goggles a chance to experience a tarsier’s vision first-hand and to better understand why having such oversized eyes makes sense for these animals. The self-guided experience allows users to toggle between human and tarsier vision to compare the relative advantages of each in three different virtual learning environments. The “Matrix,” “Labyrinth,” and “Bornean Rainforest” environments simulate, respectively, how a tarsier’s vision differs from a human’s in terms of acuity (sharpness), color vision, and brightness. Gochman, a 2018 Dartmouth graduate, and senior author and anthropology professor Nathanial Dominy, partnered with the Dartmouth Applied Learning and Innovation (DALI) Lab, where students design and build technology, including mobile apps, websites, and virtual and augmented reality. 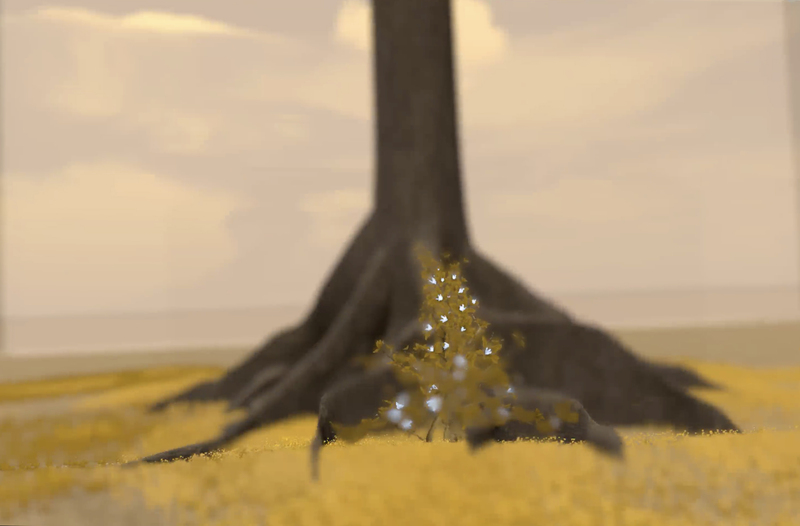 They wanted to create a tool that could change how people perceive our world by experiencing how another species sees it. The resulting software product produces a virtual learning environment that simulates the benefits of various ocular adaptations, such as having eyes with high densities of rod photoreceptors cells, which are responsible for vision at low light levels. Tarsiers have more than 300,000 of these per square millimeter of eye, whereas humans have roughly 176,000 per square millimeter. 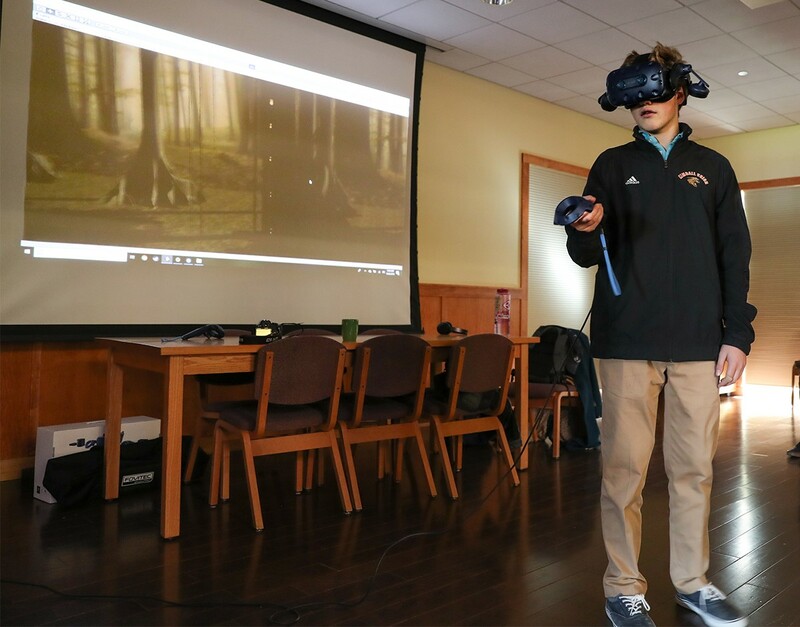 The team decided on a virtual reality experience because it would be immersive and could be used as a teaching tool in a classroom setting that provided students with a fun, interactive way to explore the complex concepts of physiology and natural selection. For example, the tarsier’s huge eyes, high density of rod photoreceptor cells, and high visual acuity (sharpness) combine to provide superior nighttime vision, which these tiny primates need to successfully catch insects and other live prey in the dark. A Bornean tarsier (Tarsius bancanus) eating a katydid at night. The extreme dilation of the pupil also helps it see in the dark. Image by David Haring. They tested the system first through several ad hoc demonstrations to students, faculty, and families, including biological anthropologists familiar with tarsier vision, during which 35 users of various backgrounds and ages wore the goggles. These groups provided feedback that the team incorporated into subsequent iterations of the software. In two formal assessments with high school students, the researchers provided a brief orientation on tarsier foraging behavior and on their physical appearance, including the relative size of their eyes, which is comparable to the size of their brains. It did not provide the users with materials on natural selection or on the visual anatomy or tarsiers or people. It immediately immersed each student into the virtual learning environment for five minutes to experience tarsier vision for themselves under the low-light conditions in which these animals live. A high school science student using Tarsier Goggles in the classroom. Image by Dustin Meltzer. During the assessments, other students could watch on a monitor what their goggle-wearing classmates were viewing, which promoted comments and discussion that, the authors said, broadened the learning experience beyond the individual user. The authors wrote that the pilot users experienced the intended effects, integrating optical and biological concepts to enrich their understanding of eye evolution and tarsiers. Visual properties affect how all animals forage, so the researchers’ aim for Tarsier Goggles is to enhance classroom education on both optics and evolution. 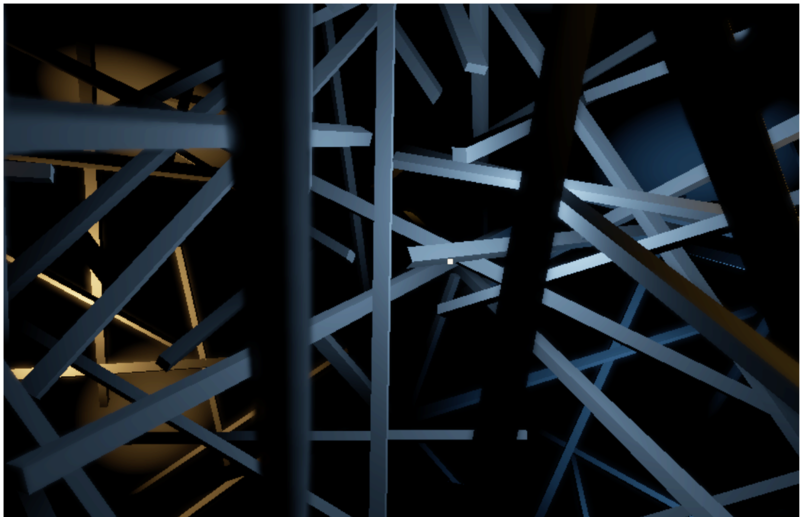 They’ve made both a description and the software code available for free online. Philippines tarsier (Carlito syrichta) in a typical pose. This one is about 13 centimeters (5 inches) long with a tail longer than its body. They leap between trees to catch insects and other small animals. Image by mtoz via Wikimedia Commons, CC 2.0. In their paper, the authors suggested other applications of the technology, such as simulating human visual impairments, which could promote greater empathy. Gochman, S. R., Lord, M. M., Goyal, N., Chow, K., Cooper, B. K., Gray, L. K., … & Seong, H. J. (2019). Tarsier Goggles: a virtual reality tool for experiencing the optics of a dark-adapted primate visual system. Evolution: Education and Outreach, 12(1), 9.